How segmented customer data and behavioral insight improves your customer engagement. Use of digital communication technology has grown rapidly over the past few years. It would be hard to find a retailer who does not use a single digital communication channel or a combination of several to engage their customers with information they believe is important and would help the customers purchase decisions and raise revenue for the organization. Customer engagement channels such as Email, SMS, Facebook, Twitter, Pinterest, etc. are being using in tandem to make the retailers’ brands stand out from the noise, can also become a part of the noise if not properly tailored for the audience. Sending an email or SMS campaign, boosting ads on Facebook, require some work to make sure the message is received by the intended audience at the right time and in the right context in order to increase brand awareness and affinity and drive in-store and online traffic. In one of our earlier articles, we had highlighted the importance of using cross-channel digital marketing to engage customers, and how some of our digital communication tools, such as Reson8 and Reson8Direct can help make the task of digital communication simpler, through properly combining the audience, message and reporting. It is now important to see how these same tools can help in better targeting the message by segmenting the generated customer data and behavioral insight gained from the past campaigns. All retailers know that the holding a customer’s span of attention and engaging them is getting shorter by the day. 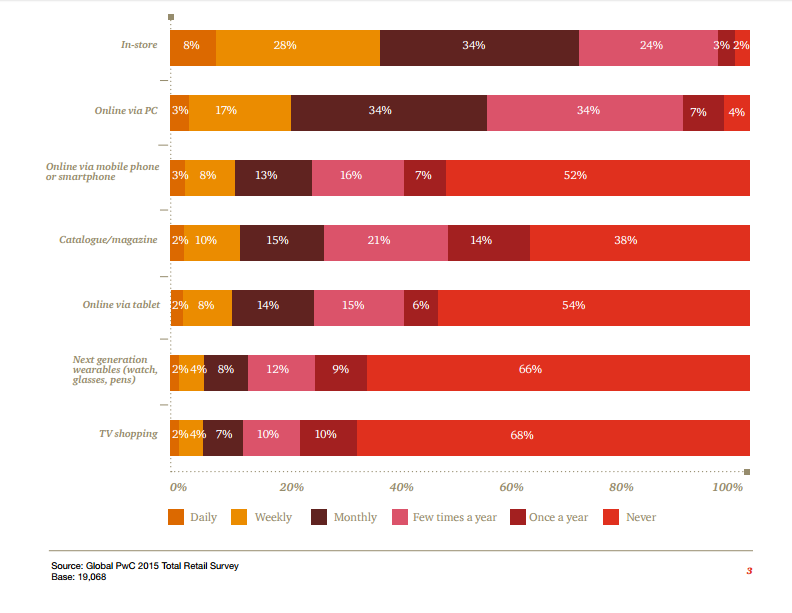 Today’s retail customers, while walking through a mall or store, are paying more attention to their smartphones that to the products on display. If these customers need to be engaged, segmenting their data and gaining insights on their shopping behavior would be important. These customers should receive messaging relevant to their interests and content via the various digital and physical touch points that the retailer at their disposal. Today’s email and SMS tools provide options for predictive intelligence to combine information on offers and interaction to better generate a response from the targeted audience. Content for SMS and email can be dynamic and tailored to each specific segment. For example, if the target audience can be segregated by specific nationality and age, then the email and text message language and tone can be tailored to be more relevant for this group. With more customers reviewing and engaging with brands through social channels, the retailer can use data collected from these social channels to improve the time and place of communication. Using social features of Facebook and Twitter the target audience can be provided options to opt-in for future campaigns based on their preferences. The campaign can cross the boundaries of specific digital channels based on a customer’s location, whether in-store or off-site. If the customer is using the retailer’s mobile app, the retailer can use in-store technology like beacons to engage the customer with a localized version of the same campaign. Email still continues to lead as one of the main digital channels to inform and engage customers. As per the website, emailisnotdead.com, “Email is not dead. But email IS changing.” The site provides relevant statistics on how email is moving away from desktop to mobile, but is still “the single-most-effective tactic for awareness, acquisition, conversion, and retention” as per Gigaom Research “Workhorses and dark horses: digital tactics for customer acquisition” (2014). In a recent campaign, UCS provided assistance to leading online advertising agency, using both targeted SMS and Email, to personalize a campaign for each individual participant so that the uptake of the offer could be matched to the existing customer data. This would help in providing the agency a “laser focus” for future campaigns where the propensity of a customer making the purchase or partaking the offer would be more likely. Combining information gained via purchase patterns, such as most frequently visited stores, purchase frequency, preferred locations, can be used to drive customers to beacon enabled stores and then share personalized offers with them upon their arrival. According to Forrester Research, “82% customers make purchase decisions in-aisle.” Beacons, when effectively deployed, can help provide statistical key information on the location of consumers. For a retail store, knowing which areas have high consumer traffic and which areas do not have high consumer traffic has proven to be useful insight. Large retail giants often face crowd management issues, leading to reduced visibility of products that are large revenue generators. This information can also be utilized during the store restructuring process – The high traffic points within the store can present products that have not been generating sufficient revenue. Beacons can also help navigate the consumer through different informational or offer-based campaigns. Digital consumers perform multiple actions while interacting with different applications on their mobile device. Through a beacon-enabled mobile application an active user’s flow of interactions can be viewed. 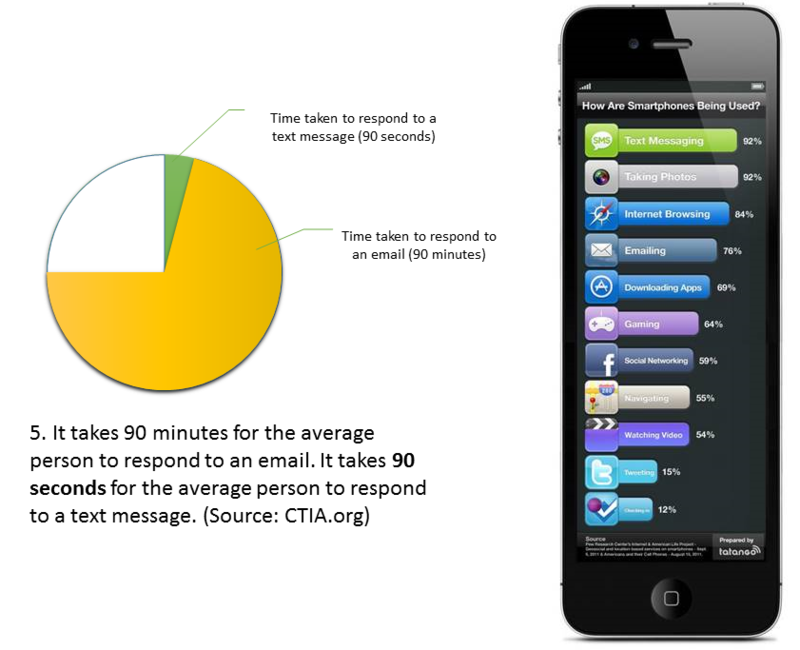 Customers dwell time, app interactions and response to beacon triggered notifications, can be analyzed for future communication. This can be analytically monitored based on the number of beacons triggered, the extent of consumer participation in the beacon-based buyer journey, the number of consumer purchases based on completion of buyer journey and much more. Customer engagement can be monitored through several metrics such as views, clicks, downloads and other content related in-app or on-site activity such as shares, likes and comments. A comparison between the number of pre-campaign purchases and post-campaign purchases can be done in order to assess the effectiveness of the campaign and measure its return on investment. Digital campaigns that contain tailored content based on #hypersegmentation will help marketers gain a whole new level of insight into how different classes of consumers are behaving with different kinds of campaigns that are promoting products and services. The digital consumer will express interest in different ways such as signing up for a newsletter, subscribing to SMS alerts, opting-in for push notifications for an application, etc. Once the consumer is nurtured through a series of campaigns, the consumer’s need-to-purchase has evolved from ‘maybe’ to ‘I want it’. The campaign’s performance can be measured by the number of purchases by consumer from different consumer segments. Consumers in today’s day and age are extremely preoccupied. There are several activities that consumers participate in on a daily basis that contribute to the development of their preferences and the time pattern that they follow to cater to their preferences. According to Retention Science, “65% of consumers shop online in the afternoon and at night.” They discovered this after analyzing 100 million online transactions, 20 million user profiles and 100 email campaigns. They also discovered that, setting aside some variations by industry, Tuesdays and Fridays were the best days to reach customers. Promo offers sent on Tuesdays had a 28% conversion rate and Fridays came in at 27%. Weekends barely convert at all – 3% on Saturday and 6% on Sunday. Maybe that’s because people use those days to shop offline instead. Asking customers to rate their experience during a store visit and, in a timely fashion, responding to their queries will help in building loyalty. A customer receiving an SMS or email campaign may visit their favorite store location to experience and learn about the offer. If a purchase is made, then the information gained through this transaction can be analyzed to understand the customer’s experience and send them tips or information for the product purchase or to understand how the experience can be improved during future visits. Personalized communication after a customer has visited the retail location or once a purchase has been made, is one of the best opportunities to convert a one-time buyer into a loyal customer. Using analytics from store visit and purchase data can help the retailer understand purchase patterns and segment the customers in a manner suited to their needs. Updated loyalty information also provides insights into how customers are using the loyalty offerings and earning points. For example, a retailer who has an active loyalty program can immediately information the customer post purchase of their current loyalty tier and the number of points required to move to the next tier. In addition, targeting a tier specific offer for the next visit keeps the customer more engaged and increases the probability of the customer visiting the same location for future purchases. Consumers that have downloaded a mobile application on their smartphone are allowing companies to become a part of their lifestyle. Informational broadcasts can be delivered to different clusters of app users based on their location, usage time, previous session activity and more. Inactive users that have not made sufficient in-app activity for a long period of time can be enticed to return to a specific promotional offer or new feature via push notifications. 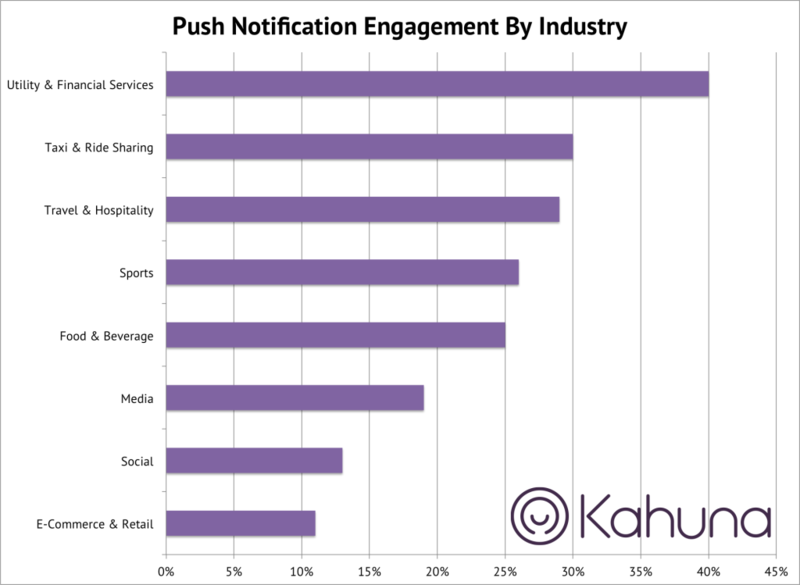 Recent data from Kahuna reveals that push engagement rates vary widely across industries – utility and financial services apps seeing the highest performance, and retail and social experiencing the worst. Properly segmenting customer data post purchase to raise “right-time” communications with these customers will also help the retailer boost loyalty and brand affinity. Marketers can make informed decision about budget allocation, timing and tailored content for current and future campaigns targeting different segmented audiences. To know more about how we help our clients segment their customer data which enables them to receive better behavioral insights, contact us.